Autoblog's article on McQueen's birthday. Press Release: " Steve McQueen: A Tribute to the King of Cool"
Life Magazine Online posts some McQueen photos. Two new McQueen-themed motorcycle helmets available. Shoes McQueen wore on/off screen. The shoes worn in Bullitt. And finally, what were Steve McQueen's favorite shoes? The most ridiculous McQueen product ever. 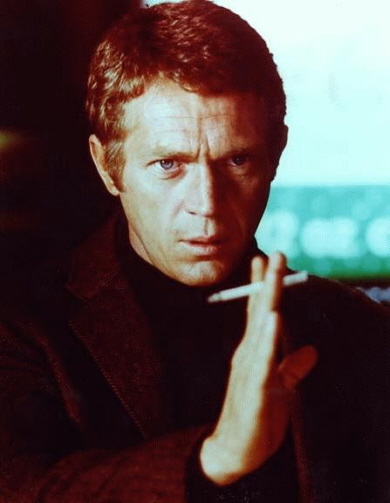 Steve McQueen Days April 23-24 in Slater, MO. "Republican Steve McQueen Makes A Comeback"
Site went online 3/97, becoming the first McQueen website on the Internet. If you have any information, comments, or photos which could help this site, please write me at stvmcqueen@yahoo.com. Copyright 1997-2010 by Chris Lambos.